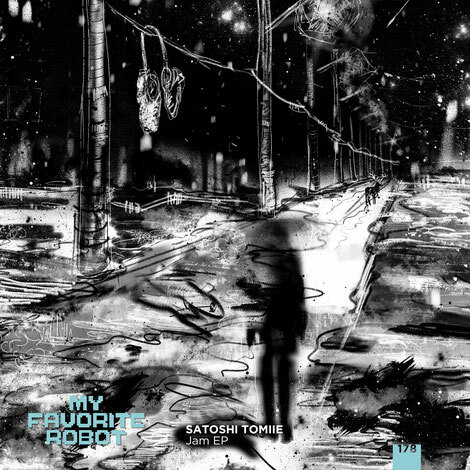 My Favorite Robot welcome house producer Satoshi Tomiie for his first ever EP on the label. The ‘Jam EP’, as the name suggests, features two tracks recorded live, with no computer, by Satoshi and is backed with a remix from Mateo Murphy. Japanese born, New York based Tomiie is best known for co-writing track ‘Tears’ alongside Frankie Knuckles, but in the decades since has put out three albums as well as countless EPs on his own SAW and the likes of No.19 Music, Kaoz Theory and Holic Trax. A student of jazz and classical piano, he always imbues his music—and hybrid live-DJ sets—with musicality and melody. Opener ‘Protodigma’ is a stripped back and dubbed out house kicker. The warm, enveloping drums are overlaid with modular synth sounds that are evolving. It’s a streamlined groove that aims to get intimate dancefloors with their heads down and marching. The futuristic, Detroit-tinged ‘Namiura’ is hi tech techno soul with icy hi hats and rolling kicks. A Tool Dub of the same track subtly tweaks the original to make it even more visceral. Canadian artist Mateo Murphy has apparently been a key presence on the scene for more than a decade and is at home on Tronic and Turbo with his techno tunes. He remixes ‘Protodigma’ into an icy, stripped back dub techno track.